Though useful preaching material, it doesn’t seem necessary for God to be incarnate — as the messiah — to know what it is like to be a man. God knows me better than I do, though I have no reserved throne of glory. Wouldn’t the Lord God and almighty Father, creator of all things, know what it is like to be a bat? It’s a tricky question. Obviously, he’s omniscient, right? So how can he be ignorant of what it is like to be anything? The way I have parsed this is to distinguish between knowing what it is *like* to be a bat, and knowing what it *is* to be a bat. One knows what it is like to be a bat by knowing of experiences that are similar to those of a bat. But one can’t know what it is to be a bat unless one *just is* a bat. And until one knows what it is to just be a bat, one’s inferences about what it is like to be a bat are just that: inferences. In virtue of the Incarnation, God knows, not just what it is like to be a man, but what it is to be a man. He does this by being a man. And – this bit is quite familiar to you, I know – in virtue of the Incarnation once in history, God is a man from before all time, and eternally; so that in the time of the creation of the first man, God already knows what it is to be a man. And, obviously, once you know what it is to be a man, you also know what it is like to be a man. Finally, because God knows eternally what it is to be a man, his omniscience in this regard is preserved. For all we know, God also knows what it is to be a bat; it seems quite certain that he knows what it is to be an angel. God could have committed himself to something like Incarnation in any number of different things, without in the least compromising the special and salvific nature of his Incarnation in Jesus. He is Jesus; but he is nowise limited to the Dominical instantiation. I follow my favorite Western father — Bonaventure — in attempting to understand divine knowledge. God knows creation by knowing himself, as he is the source of all. In knowing the divine essence, he knows all that is (and, it seems, all that could be). The Lord is no demiurge who works with pre-existing stuff. There is no input besides God of which God could be ignorant. Still, your words have me thinking . . . I once had a Platonist Christian professor who taught that creation as a whole was an incarnation of God and that the incarnation of the Logos as Jesus was the most visible and perfect manifestation of that act. This may smell of heresy to some, but it always made sense to me. God has given man demarcated sacred space (temple) and time (ritual) so that man, in his spiritual blindness, may begin to recognize God’s presence, and then hopefully he will come to see the transcendent divinity that lies beyond and behind all phenomena. It is not that God is absent from mud, or spit, or rocks, but our fallen eyes and minds need trained, and lessons begin with blessings. Of setting things aside. Of offering our first fruits to the Lord. Of separating a chosen people from the rest of mankind. Our carnality needs to start with the concrete and particular before it can comprehend wider vision. And Christ is the first and last pedagogue of mankind. As a person and in his acts, he opens our eyes to the truth. When Christ “transfigured” on Mount Tabor, it was not he who changed but rather than perceptive abilities of Peter, James, and John, who finally caught a glimpse of a higher reality that was always there. I think that something of this is also relevant to the Eucharist. In our most sacred act, we acknowledge the real presence of Christ in bread and wine. When we no longer see through a glass darkly, we may come to see God in all things. Such seems distasteful to those who fear idolatry and immanentism (in other words, religion), but I think that the old pagans, philosophical pantheists, and new agers have a true insight but lack the interpretive apparatus necessary to make sense of it. The incarnation makes the rise above idolatry possible for us because of the mysteriously unified joining of God and image in the person of the God Man. The rest of creation is an echo, a shadow, an image of this providential unity of creator and creation, and this allows all things to be opportunities for prayer and for communion. For the saint, to be is to be holy. The process of salvation is relearning to see the Lord walking in the garden. The world is God’s image, and part of that world — man — is an exceptionally clear icon of the divine. How sad it is to contemplate, when we look at actual men! Nonetheless, man is God’s appointed chief and priest. He has neglected his duty spectacularly. 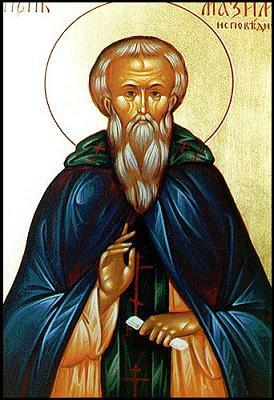 Yet, Christ is the New Man, the New Adam, who recapitulates all of creation in his incarnation, and he thus also redeems all of creation through the incarnation, death, and resurrection according to Irenaeus of Lyons. Why should this be? Maximus the Confessor taught that man is God’s cosmic mediator — one of our original and final vocations. In becoming the perfect man, Jesus fulfills man’s true purpose as the creaturely conductor of the Lord’s cosmic symphony. So, if you are correct that God’s knowledge of being a creature depends on the incarnation (rather than simply knowing his own essence and its effects), then perhaps in becoming man, God knows all of creation “from the inside.” For that is our job, and we succeed at times to a remarkable degree in understanding the rest of creation, even in our wretched state. Observe the relationships that sometimes occur between man and beast, or even man and plant (or thing). Lewis remarked that we bring animals into the intellectual, spiritual sphere by assimilating them into human life, but perhaps that limited activity is but a taste of what human life in the world should really be. The God Man’s cosmic role is not simply as God but as man, and by that, the whole universe is made anew. I would add one thought. When I say (as you have paraphrased me) that God’s knowledge of being a creature depends on the Incarnation, so that, in becoming man, God knows all of creation “from the inside,” that is just another way of saying, as you and St. Bonaventure say, that God knows creation by knowing himself, for in knowing the divine essence, he knows all that is (and, it seems, all that could be). God’s act of being, his act of creation, his act of knowing his own essence, his act of Incarnation, and his act of knowing his creation are a single motion. I had not considered Kristor’s point beforehand. It is very difficult to abandon entirely “image-thinking” and to re-orient the mind to think beyond the reference points of everyday life. The climb from the cave is arduous and fraught with dangers. Whence Come These Puppets of Doom?